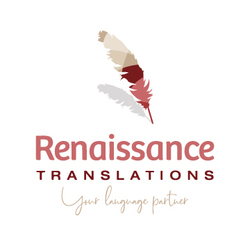 Renaissance Translations is a leading provider of translation and localisation services. The Company's offices are based in Manchester where we translate over 70 languages; from European and Asian to African and Middle Eastern languages in all dialects. Translation services offered in over 100 languages and dialects! Experience Registered at ProZ.com: Jan 2011. Professional practices Renaissance Translations endorses ProZ.com's Professional Guidelines (v1.1).